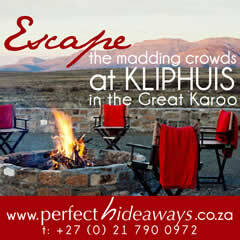 The Drostdy at Graaff-Reinet was established in response to petitions from the Boers of the region. The satisfaction that this provided was short-lived. The attitude of the officials of the Dutch East India Company antagonised the Boers who resented being oppressed. 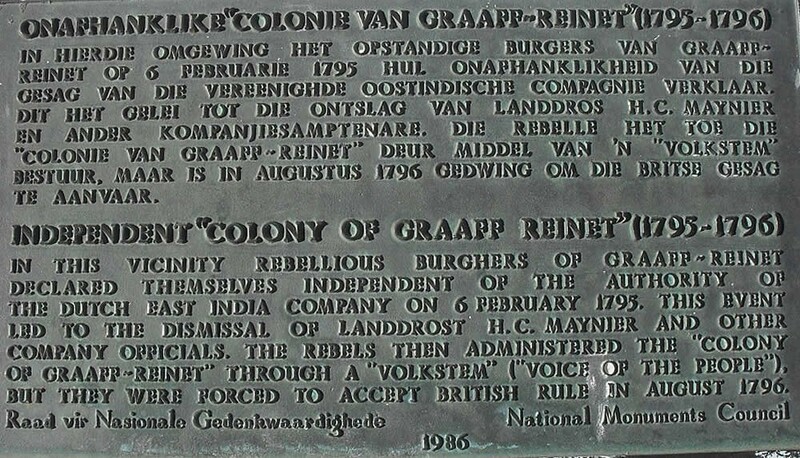 Their desire was to be independent of the authorities at Cape Town, thus 6 February 1795 a gathering proclaimed the "Graaff-Reinet Colony" and hoisted the red, white and blue flag, the "Prinsevlag" as it was called, of the Republic of the Netherlands. It is this flag together with the National flag, that graces the monument today. The monument was erected as a bicentenary project of the Publicity Association and was sponsored by The South African Permanent Building Society. 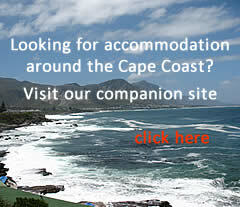 It was unveiled by Mr de Kock, then chairman of the National Monuments Council, on 24 July 1986.